Take a stroll on Tatooine! If you've ever played a Star Wars video game in the past, you'll know that the most satisfying part is playing as a Jedi (or Sith) and whipping out your lightsaber to cause some damage. But twiddling your thumbs on a controller just isn't as good as the real thing, which is why we're so excited to learn about Star Wars: Trials on Tatooine - a VR experience from Industrial Light and Magic. 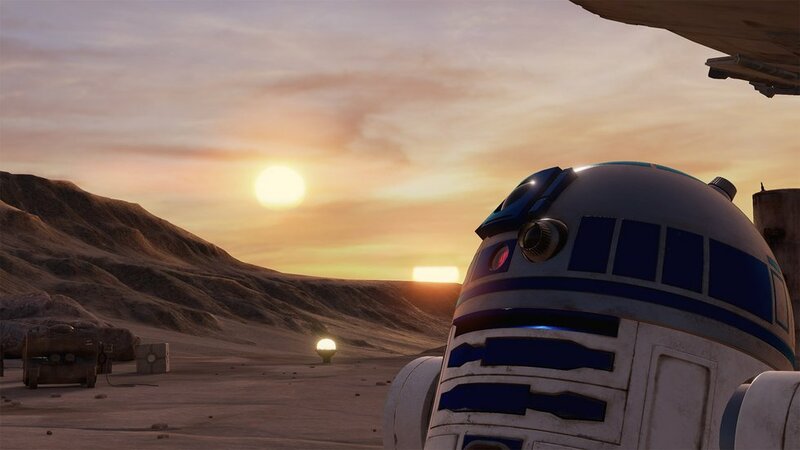 Currently only available to HTC Vive users (for free, yo), the programme is being pushed as an "experience" rather than a game, as we assume there isn't much to do in it other than have a walk around and use your lightsaber to fend off storm trooper attacks. Still, ILM are so pleased with how it turned out that they are already working on something much bigger; a Darth Vader narrative game. Exciting times. And you though that lightsaber app on your phone was petty good.